HTC to take another stab at a 'Nexus' One? The hotly-tipped 'pure Android' incarnation of the HTC One handset will arrive this summer, according to a report on Friday night. CNET claimed to have "confirmed" that the handset, which would dispense with HTC's polarising Sense UI in favour of the stock Android Jelly Bean 4.2 operating system, is definitely on the way. The claim follows reports earlier on Friday stating that the handset would be launched within two weeks, although CNET's sources only quoted a "summer" release timeframe. The clamour for a HTC One model with the Nexus-style version of Android, follows the launch of the Samsung Galaxy S4 Google Edition at the company's Google I/O conference last week. 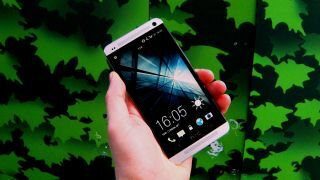 The launch of a Google-centric HTC One would be somewhat or a surprise given that the company recently told TechRadar that no such device was in the works. Jefff Gordon, senior global online communications manager, telling us: "HTC is not currently planning a 'Nexus Edition' of the HTC One". Has something happened to change HTC's mind, or was the company simply playing it cool with its denials?